After months of speculation, Nintendo has confirmed that they are working on an animated Super Mario Bros. movie with Minions studio Illumination. This will be the first time that Nintendo has attempted an animated Super Mario movie after trying out the live-action version in 1993 with Super Mario Bros. The movie was basically terrible and is hailed as the first video game movie to kick off the "video game movie curse." Since then, Nintendo hasn't really touched on any movies solely including their characters. To make the Super Mario movie a reality, Nintendo has partnered with Illumination, the studio behind mega-hits like Despicable Me and Minions. This partnership could prove to be very fruitful for both entities, especially since Nintendo is on a huge upswing with their Switch console outselling the WII U in less than a year. The new console contains Super Mario Odyssey, which is the latest Mario game and it has turned a whole new generation on to the plumber and the crazy worlds that Nintendo has been creating for over 30 years now. The game, which came out in October of 2017, has already sold over 9 million copies. The Super Mario movie will be co-produced by Nintendo's Shigero Miyamoto (creator of many Nintendo characters, including Mario), alongside Illumination CEO Chris Meledandri. Miyamoto is the man behind Nintendo classics including, The Legend of Zelda, Donkey Kong, Star Fox, and many more. Just Zelda and Mario alone put him at a legendary status amongst gamers of all ages and this new Super Mario movie news has fired up the long-time speculation that a Legend of Zelda movie could be in the works as well, which is something that fans have wanted to happen for years. Though the partnership between Nintendo and Illumination has been talked about for months, there are very little details surrounding the animated project. However, Mario will obviously be the star of the movie and one could bet on the rest of the crew showing up as well, including Princess Peach, Luigi, Toad, and Bowser. Nintendo and Illumination can go just about anywhere with the project since the Mario world is so vast, so we'll just have to wait and see what they decide to do for the Super Mario movie. The news of the Super Mario movie follows a string of successes for Nintendo. Universal Studios is working on the theme park and the Switch console is topping expectations, which is far cry from the news surrounding it when it first came out. 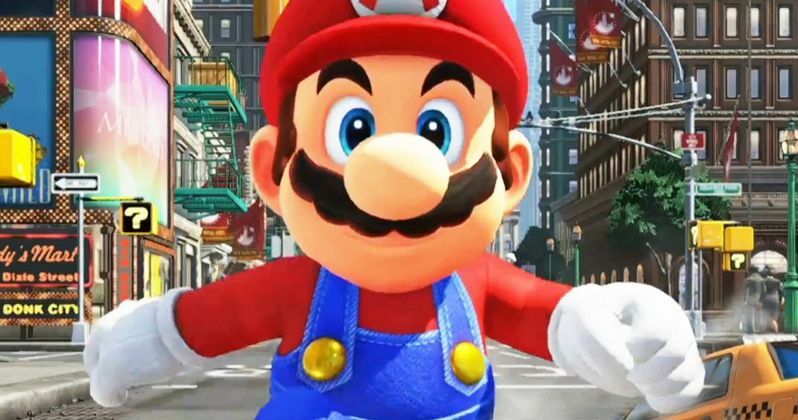 The Mario brand is able to move $400 consoles, so there's no doubt that if the movie is done right, that it will do the same at the box office upon its release. Let's just hope they completely ignore the live-action movie from 1993. The announcement of the Super Mario movie was originally announced through Nintendo of America's Twitter account. Topics: Super Mario Bros. Animated Movie, Super Mario Bros.